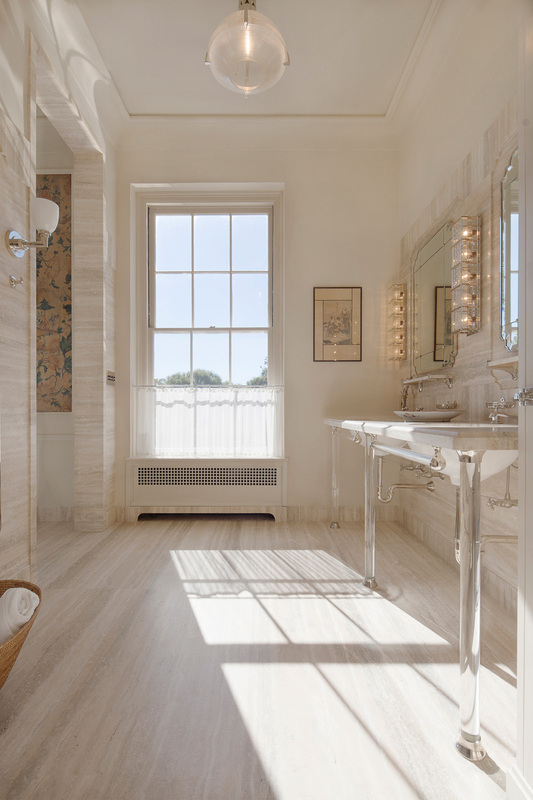 A historic estate overlooking the Hudson River has been re-envisioned by the renowned hotelier and tastemaker André Balazs. The 88 acres of bucolic grounds have been updated and refined, with special attention paid to revitalize and repurpose the turn-of-the-century farming facilities for new use as event and gathering space. Once forgotten greenhouses and fields have been repaired and restored for ongoing use, the produce of which provides for the estate and various Balazs restaurants in New York City. Livestock are also reared on the property. 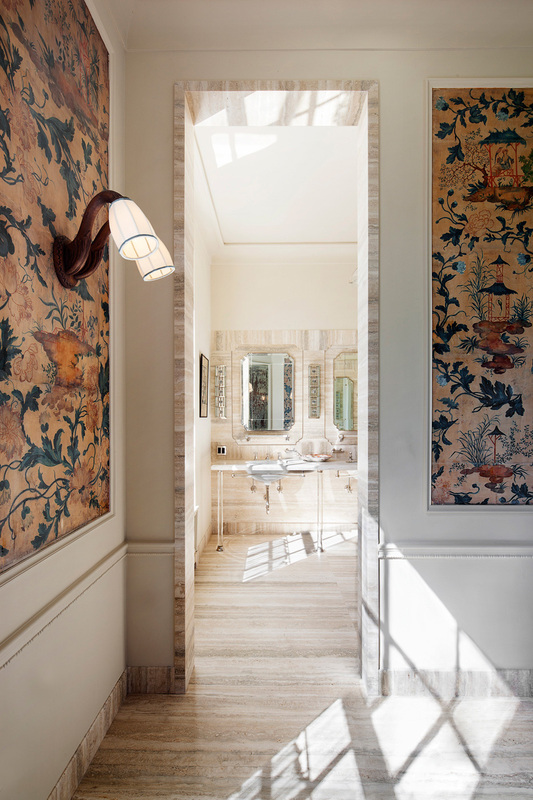 The manor has been cleared of its heavy baroque fixtures and finishes by designer Fernando Santangelo, who has designed a light and airy interior, while maintaining the home’s elegant formality. 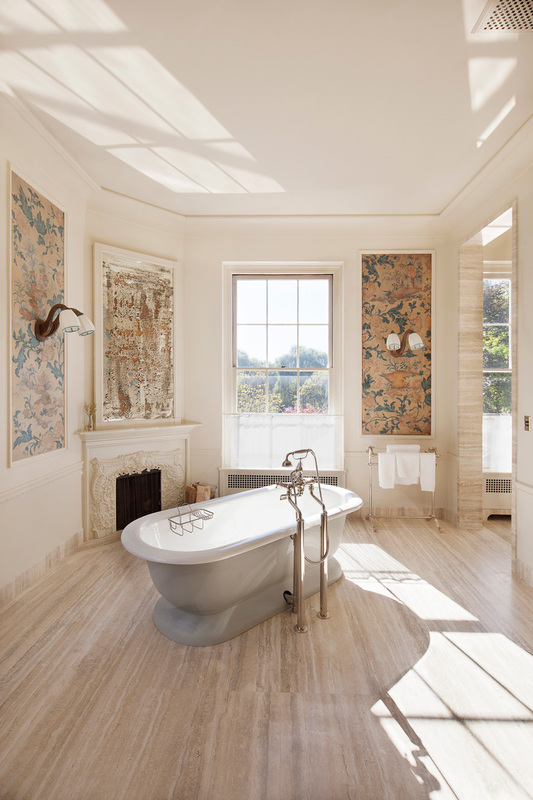 We, along with Santangelo, were commissioned to combine the existing master bath space with an adjacent bedroom to create a grand spa, with large travertine slabs and a free-standing soaking tub, housed in the former guest room. 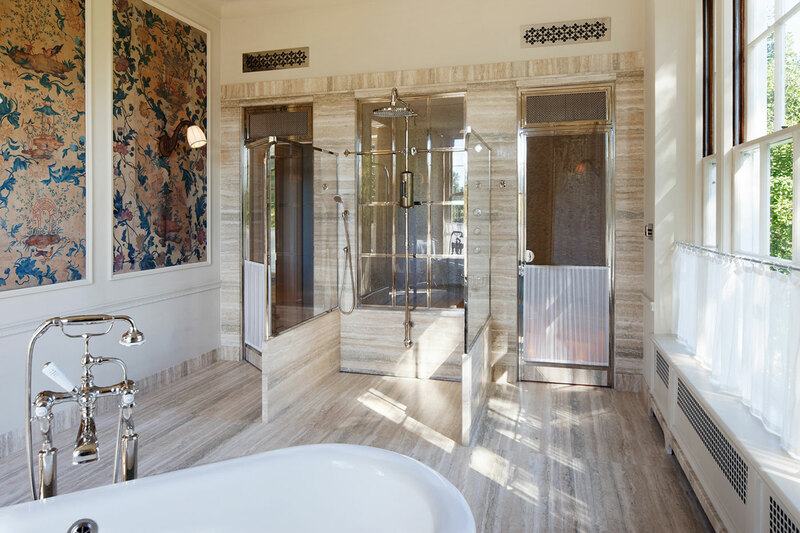 Nickel and glass partitions surround the shower and enclose the steam room and water closet, and reflect the sun through the large southern and eastern exposures. 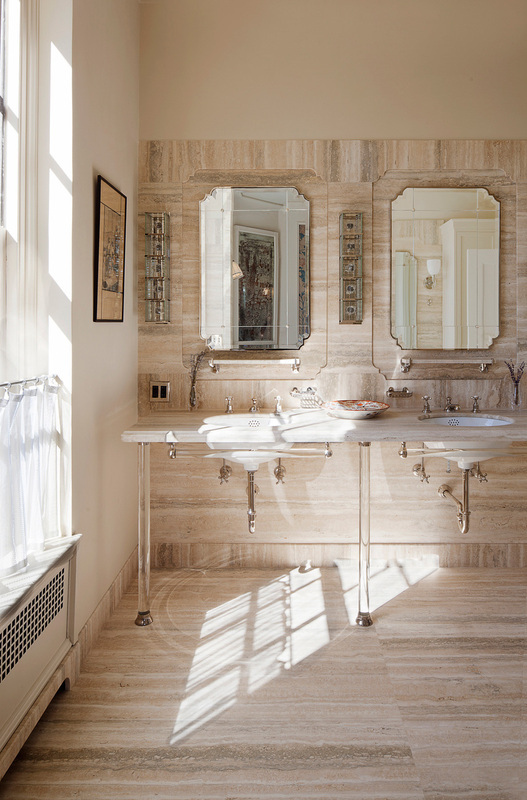 New cabinetry and a large double vanity complete the wash room.